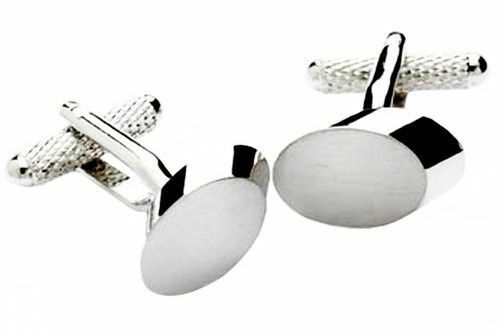 The cufflinks are made from chrome with a rigid T bar and the oval slice design are perfect when engraved for the formal outfit. Stylish oval slice formal cufflinks as a nice addition to any formal outfit lover. Our oval slice formal cufflinks are made to very high standards. 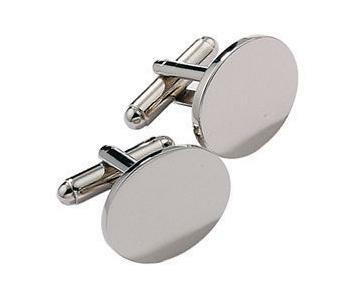 A very attractive pair of silver plated, square, shiny cufflinks.